The Old Shippon at Dunsdon Farm, a beautifully restored stone barn situated in picturesque Ruby Country countryside. Dunsdon Farm is a 54 acre farm set in open Ruby Country countryside with easy access to the coast, and adjoining the Dunsdon National Nature Reserve, which is designated as a SSSI, as a rare and protected culm grassland area. The Old Shippon is within a historic farm courtyard setting, (but benefiting from its own private entrance and garden) with some of the buildings dating from the Medieval period. The land has been farmed for many hundreds (possibly thousands) of years, and is recorded in the Doomsday Book. 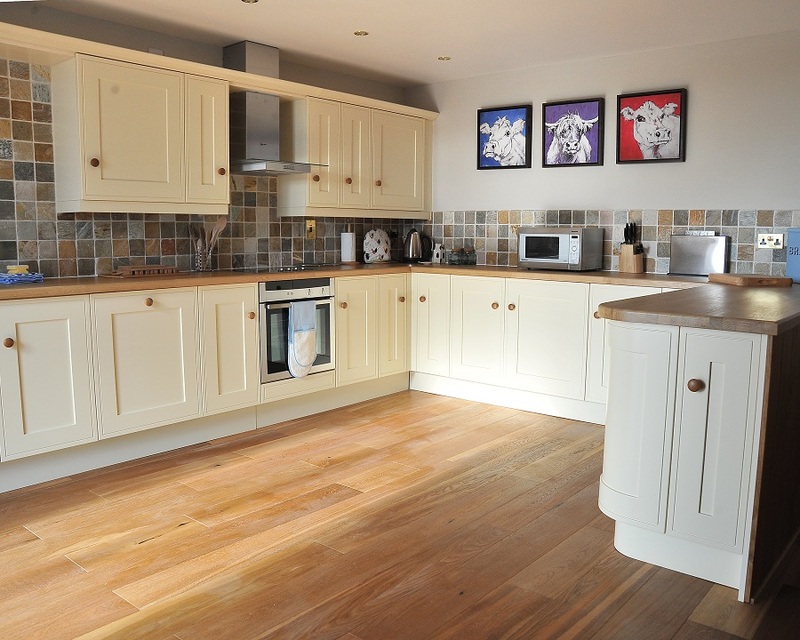 Restored in 2011 to a very high standard the cottage features solid oak staircase, doors and skirting and has been decorated with a contemporary feel, yet still retaining the charm of its historic agricultural past. The Old Shippon boasts 3 good-sized bedrooms, sleeping up to 6 people and a reverse layout with bright open-plan living space, all under-floor heated. 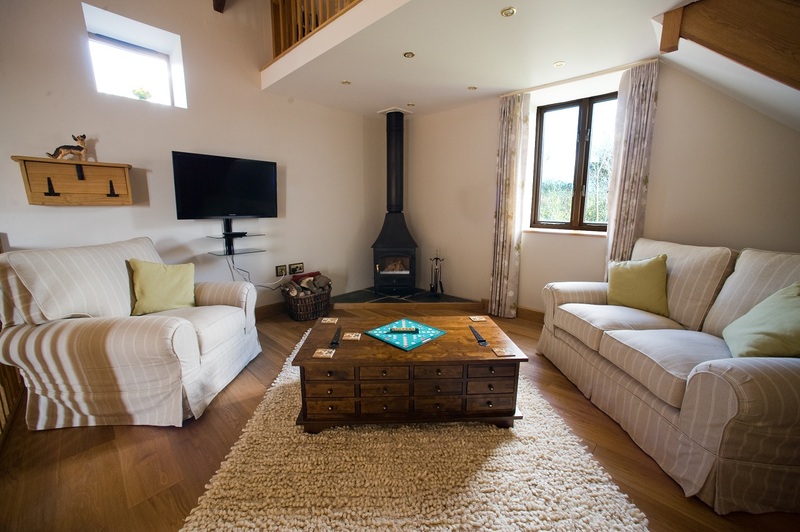 Your comfort is our main aim, so we have filled one of the finest holiday cottages in Ruby Country, North Devon with books and games that can be enjoyed in front of the wood burner in winter, or on one of the two patios in the summer. There is also a DVD player and an iPod docking station so that you can enjoy your films and music. Also If you’re looking for holiday cottages in Cornwall, The Old Shippon makes an ideal base, being only 1 mile from the border to explore The North Devon & Cornish coasts and the many activities that it has to offer (including the world renowned surfing). So whether you are searching for an activity packed break or a leisurely weekend exploring the surrounding coast and countryside, The Old Shippon at Dunsdon Farm, in Ruby Country, is probably one of the most enchanting holiday cottages in Devon. 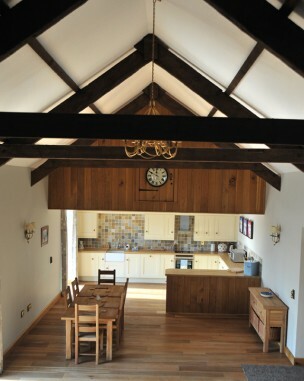 We are proud to offer you luxury self-catering in North Devon look forward to welcoming you to our holiday cottage. This entry was posted in Accommodation, nature, Self catering, Wildlife and tagged Devon, Dunsdon Farm, Dunsdon NNR, Holsworthy, nature, north Devon, ruby country, wildlife. Bookmark the permalink.